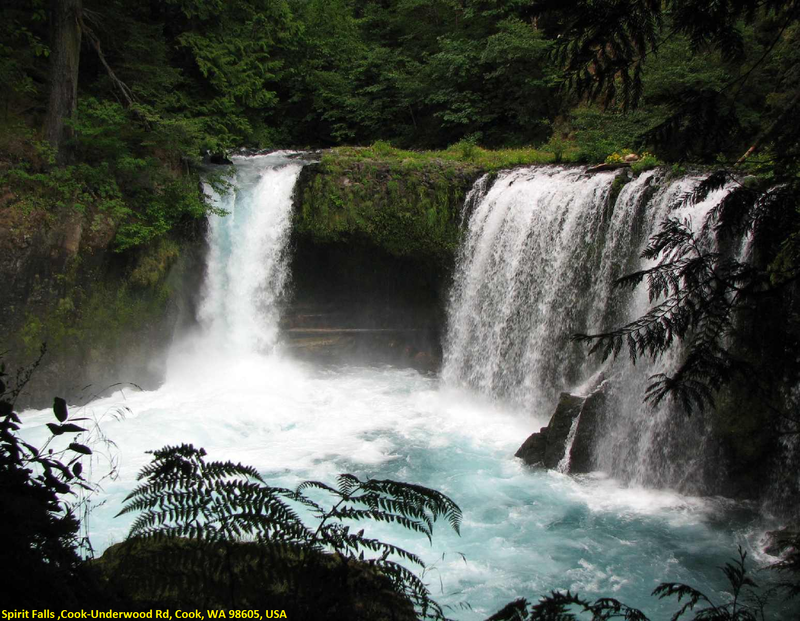 The turquoise water pours 33 feet into an effervescent pool with an inaccessible cavern visible behind the falls. In all seasons except for the dead of summer, a wide thin curtain extends to lookers right, sometimes quadrupling the width of the falls. While rain and snow will diminish the ease of access, viewing the falls during a cold snap will be rewarded with spectacular walls of icicles hanging both into the cave and along the wall facing the falls. Spring and early summer are the most likely times to see kayakers paddling over the falls, and late summer will be the most secluded time of year for the falls. There are no signs or trail head for the falls, but it's a popular spot for kayakers and photographers, so look for a faint boot path directly from the pulloff on Cook Underwood Road and follow it to the river. The hike is short, but very steep, down a talus slope of loose rock and moss. There are sudden drop offs near the falls, so it is better to leave children and dogs at home. The climb/scramble back up to the road will definitely get your heart pumping. Please note that Spirit Falls is on private property and some folks have run into trouble with the local sheriff. Proceed at your own risk.